Think dirty – Five reasons why you should get yourself this app! 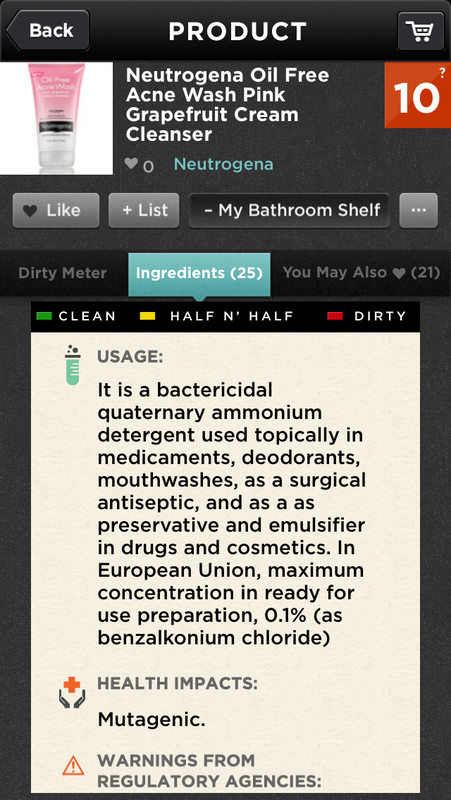 Finally, the app has arrived to give consumers everywhere total knowledge about the contents of their cosmetics. Check out the most striking reasons for downloading this app or in other words: why to think dirty. One thing most people dislike in the view of downloading an app is having to spend ages registering and working out how the app works. This isn’t the case with Think Dirty – everything which is needed is Facebook account to sign up and that’s it. 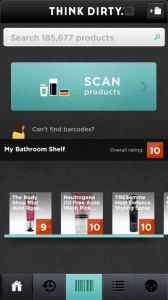 Navigating around this app is really easy to do, straight away it comes up with your ‘Bathroom Shelf’ and the products you have added on there. 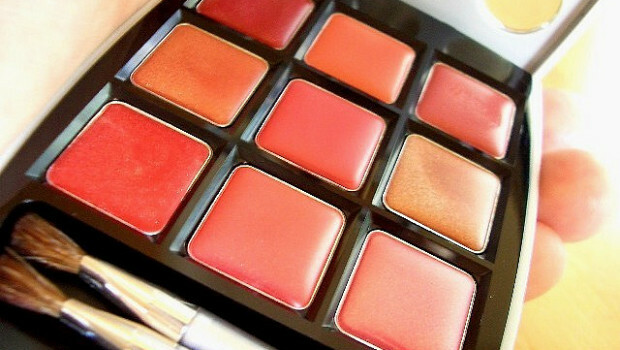 That adding process is super easy, simply click ‘Scan Products’ and hold it over the product you want. 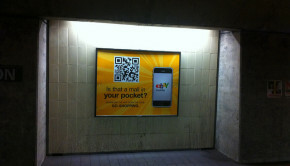 Other than that, you can simply type in the barcode and start flicking through the results. Plus: the information is really broken down to make it easy to understand. Most people find it hard to understand the millions of chemicals in cosmetics – like facewash for example – but Think dirty helps getting the point with categorizing the different ingredients in different groups. So the app breaks down the ingredients, giving an easy to understand rating out of 10, tells where else these substances could be found, and more importantly the effect that they could have on the body. 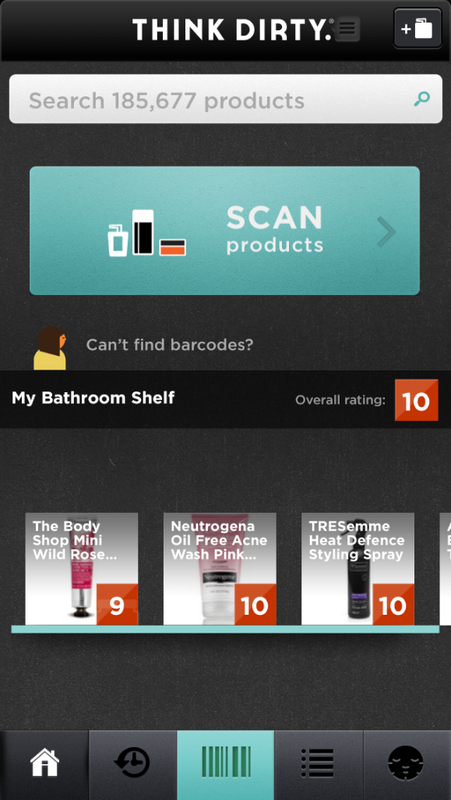 Okay, so it is easy to see from the screenshot, pretty much all of the products in the ‘bathroom shelf’ haven’t turned out that good – but clicking on the column titled ‘You may also love’ offers a whole list of products with good cleanliness ratings. Another great advantage of Think Dirty is that it’s not endorsed so there’s no adverts, no product placement of any other products, what is suggesting to the user that the advice the app is giving is genuine and from a good place. 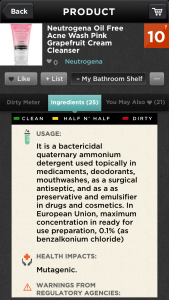 Because Think Dirty is free in use there is nothing to lose, so it can be easily recommended for a flick through – although some of the results are very shocking if seen what ingredients are in the cosmetics of daily use. At least it offers an incentive to think about what substances one is putting in and on his body.